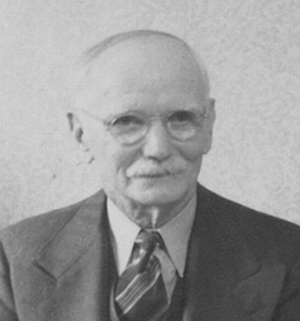 John F. Conley was born on 27 June 1864 at Pennsylvania. John F. Conley married Alice Emelia Hickey, daughter of Thomas Hickey and Mary Eiffe, on 4 December 1887 at Camden, Camden County, New Jersey.1 John F. Conley lived between 1888 and 1891 at 1219 9th Avenue, Altoona, Blair County, Pennsylvania.2,3 He lived between 1900 and 1901 at 1115 5th Avenue, Altoona, Blair County, Pennsylvania. John F. Conley was listed as the son-in-law of Thomas Hickey on the 1900 census on 6 June 1900 at 1115 5th Avenue, Altoona, Blair County, Pennsylvania.4 John F. Conley lived between 1902 and 1904 at 406 11th Avenue, Altoona, Blair County, Pennsylvania. He was Painter for Pennsylvania Railroad between 1904 and 1925. He lived in 1906 at 328 6th Avenue, Altoona, Blair County, Pennsylvania. He lived in 1908 at 1316 14th Avenue, Altoona, Blair County, Pennsylvania. He lived between 1910 and 1913 at 1417 9th Street, Altoona, Blair County, Pennsylvania. John F. Conley was listed as the head of household on the 1910 census on 27 April 1910 at 1417 9th Street, Altoona, Blair County, Pennsylvania. Also living in the house was his wife, Alice Emelia Conley, his sons, Thomas Patrick Conley, his daughters, Ruth Conley, his daughter-in-law, Mary Dorothea Conley, his father-in-law, Thomas Hickey.5 John F. Conley lived between 1914 and 1915 at 1804 15th Avenue, Altoona, Blair County, Pennsylvania. He lived in 1917 at 1305 1/2 14th Avenue, Altoona, Blair County, Pennsylvania. He lived between 1920 and 1921 at 1102 13th Avenue, Altoona, Blair County, Pennsylvania. John F. Conley was listed as the head of household on the 1920 census on 10 January 1920 at 1102 13th Avenue, Altoona, Blair County, Pennsylvania. Also living in the house was his wife, Alice Emelia Conley, his daughters, Ruth Conley.6 John F. Conley lived in 1923 at 1200 9th Avenue, Altoona, Blair County, Pennsylvania. He lived in 1925 at 1907 Union Avenue, Altoona, Blair County, Pennsylvania. He lived in 1935 at 121 13th Street NE Apt. 5, Washington, District of Columbia. He lived in 1937 at 110 13th Street NE, Washington, District of Columbia. He lived in 1938 at 728 5th Street NE, Washington, District of Columbia. He lived between 1939 and 1941 at 1225 Massachusetts Avenue SE, Washington, District of Columbia. He lived between 1942 and 1943 at 135 Tennessee Avenue NE, Washington, District of Columbia. He lived in 1948 at 1322 Massachusetts Avenue SE, Washington, District of Columbia. John F. Conley died on 11 August 1954 at 4731 Huron Avenue, Suitland, Prince George's County, Maryland, at age 90. He was buried on 14 August 1954 at Cedar Hill Cemetery, Suitland, Prince George's County, Maryland. [S234] Judy (Garrett) Burchfield, Altoona, PA City Hall Birth Records, Vol. 2, 1890 - 1892. [S234] Judy (Garrett) Burchfield, Altoona, PA City Hall Birth Records, Vol. 5, July 1898 - 1900.